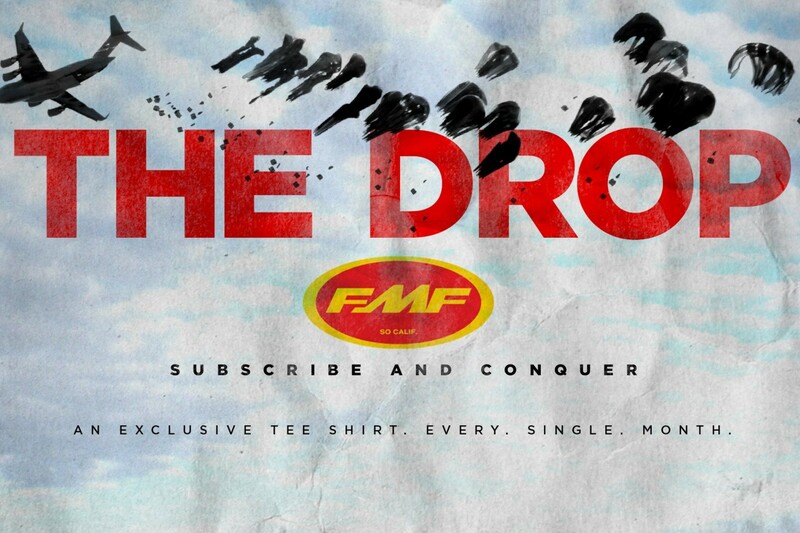 As part of the ultra exclusive FMF DROP subscription service you will receive FMF tee’s that will never be released to the public. That’s right NEVER! Get a jump and get the DROP on the coolest gear on two wheels. One small step for man, one giant leap for exclusive tees! Visit www.fmfracing.com for more info.